Finally, back in stock and the ultimate belt to transform a simple everyday look! 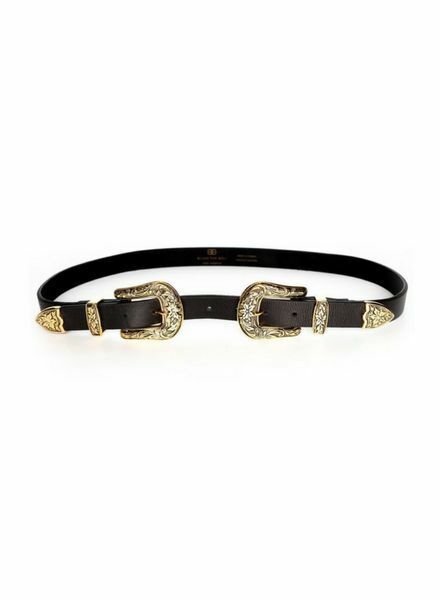 This hip belt is made with genuine leather and feature their signature double buckle. This size does fit in denim belt loops.